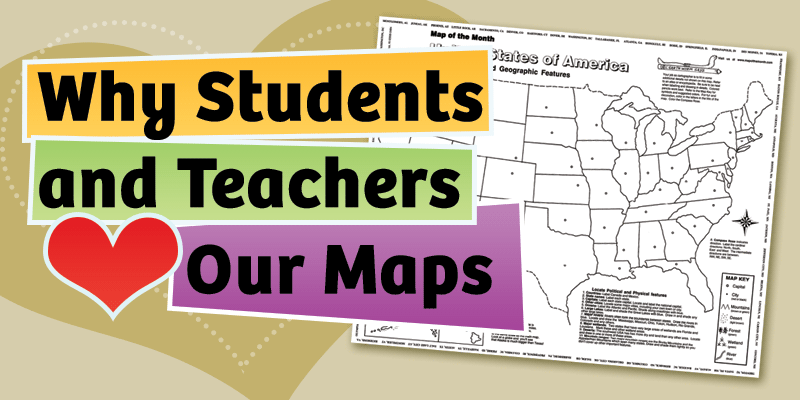 Here at Map of the Month, we already have three different world maps for your classroom use. 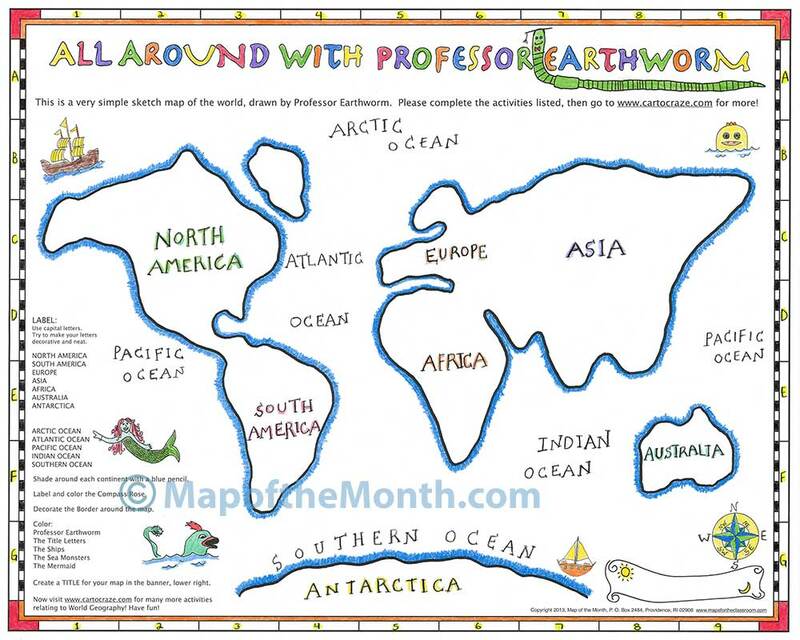 You may wonder, “Why another world map?” To answer this questions, let us introduce you to All Around With Professor Earthworm. This is a unique approach geared especially for younger learners to view our wide, wide world. We created this simple sketch map to be a simple, user friendly, jumping off point. World geography can be — even for adults — an intimidating subject if you are lacking in a simple, mental image of the world. When drawing the base for this new map, we wanted the map to be representative, but not too precise. 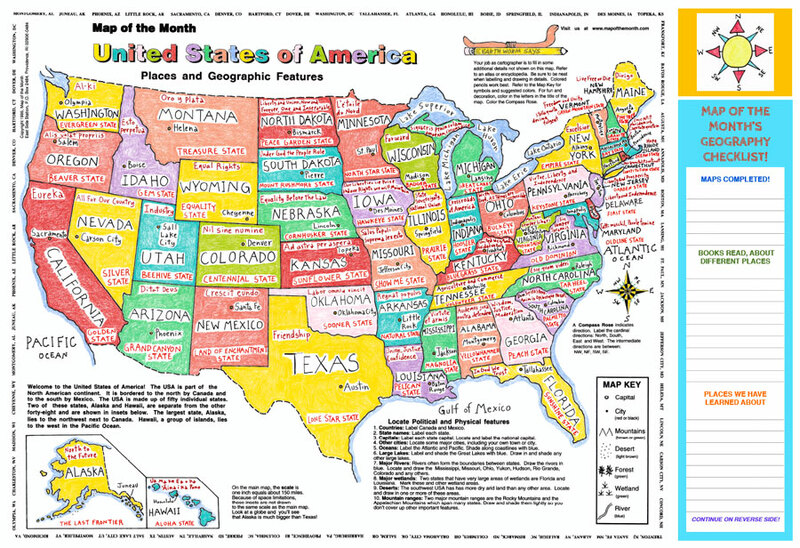 This allows for a fun, hands-on springboard where students can sketch, color, label and choose just what they would like to add to the map. 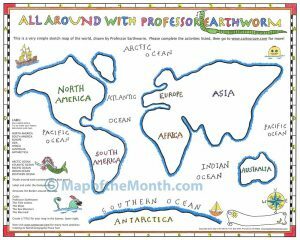 All Around with Professor Earthworm includes basic labeling and coloring activities — namely locating continents and oceans and coloring the illustrations inspired by old maps of world explorers. A World Activity Map PLUS A Whole Lot More! What’s Included in the Bonus Themes? 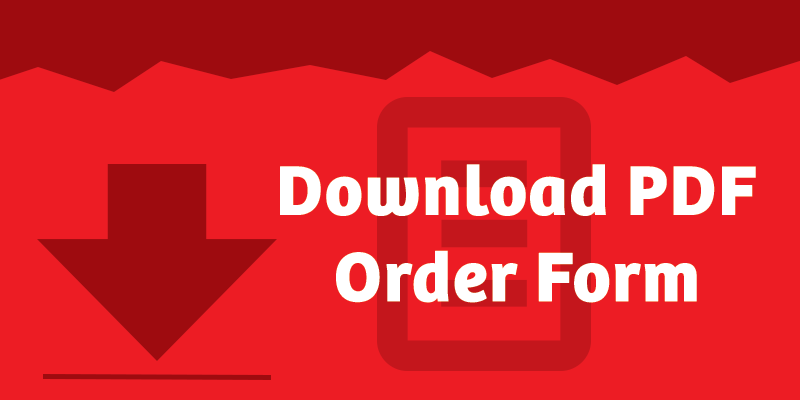 Each theme contains a downloadable PDF file where we have sketched the general location of various physical features. 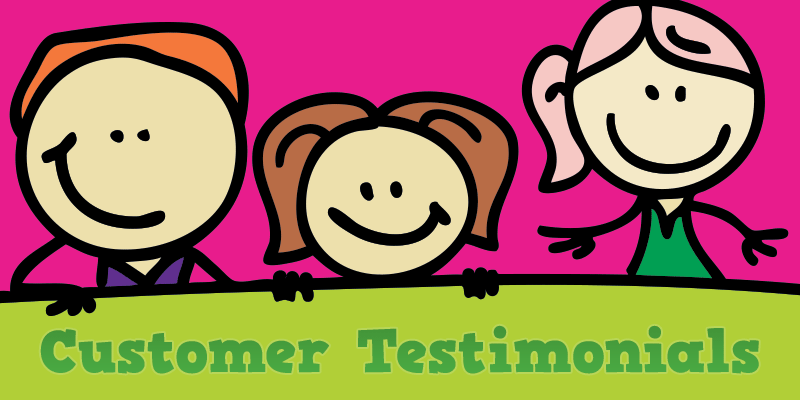 In addition, we are expanding on each physical feature with an online set of activities which includes additional map activities, a featured animal of each area, (with descriptions of each) , and spelling/vocabulary words. Our goal is to continue to add additional themes which will support social studies curriculum, science, art and literacy. We feel in an ever increasing digital environment, we can’t forget to practice our pencil on paper skills! We believe Professor Earthworm will be able to present a wealth of activities to further students interest in all of these areas.